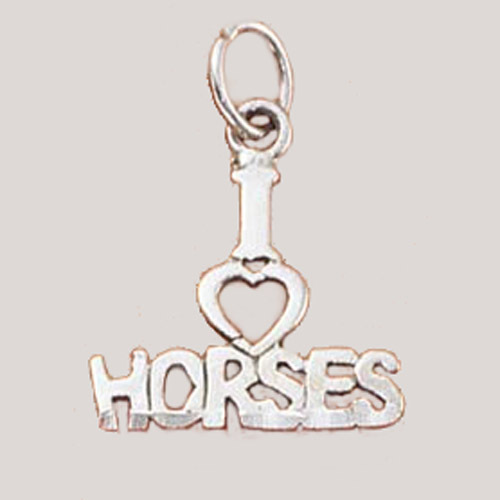 Desc: Sterling Silver I love Horses charm/pendant. The words I love Horses is spelled out in Sterling Silver, stacked. The word love is represented by a heart shape. Open between lettering.